Welcome to our website dedicated to everything related to yacht registration in Malta. Malta has created a registration process that is very easy for everyone to use. When you are ready to register, as long as you have all the right documents, it should only take approximately 2 business days to complete. You will receive a 6-month provisional registration in order to complete the documentation. This might be a deletion certificate in which the previous owner states that the yacht is no longer registered in Malta. As long as you can provide the proper documentation, the Maltese Registrar of Ships will issue a permanent registration to the new owner once the 6-month provisional registration has expired. If you do not have all documentation, you will be given an additional 6-month extension to collect all needed documents. Keep in mind, you will have to provide an international tonnage certificate if your yacht is longer than 24 meters. If you only have a copy, that will be fine. Any requested or required technical information must be provided. If your yacht is properly equipped, you will need a radio license application as well. You will be given a Certificate of Malta Registry once all steps have been completed. This certification is proof that your yacht is properly registered in Malta. In order to register your yacht permanently under the Maltese flag, you must provide specific documents within six months from provisional registration. The operation of commercially registered yachts for chartering purposes using a Maltese company (using a Maltese International Trading Company) is very tax advantageous. If you own a business which provides yachts for commercial use and generates an income from these yachts, you are entitled to an income tax exemption. Your exemption is based on the annual tonnage tax, which is calculated using the yearly registration fee of your yacht and its gross tonnage. If you have a commercial yacht for the sole purpose of transporting passengers, your company will have a VAT exemption on all maintenance costs and supplies for the yacht. Also, if you earn an income from a chartering business, you will not be charged a VAT. If your commercial yacht is not eligible for an income tax exemption, you might be able to claim an income tax rate that is less than 5%. If the commercial operations of the yacht resulted in a foreign income tax that had to be paid, you can use it as a credit to lower your Maltese income tax rate. Your rate might be as low as 0%. The Republic of Malta is an archipelago consisting of three inhabited islands Malta, Gozo and Comino. The Maltese islands are situated in the middle of the Mediterranean Sea about 100 km South of Italy. Learn what is required to establish a company in the Republic of Malta. 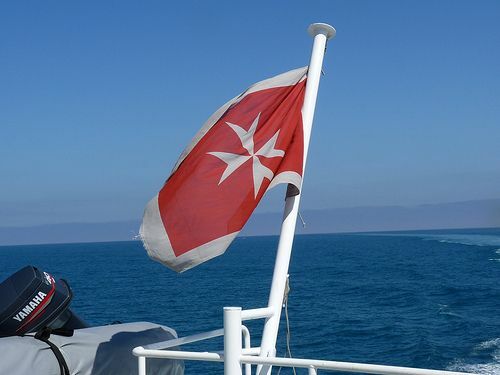 "Our company has used Malta Yacht Registrations several times to register our commercial ships under the Maltese flag, and we have nothing but good things to say about the level of service they provided. Everything was done quick and easy without any headache. We were so impressed that we have even used their parent company for several other legal services we needed help with. We highly recommend this company for yacht registration in Malta!" "We were lucky enough to stumble across this site when searching the internet for help registering a clients yacht in Malta. This is a very important client to us so we needed to find a company that we could trust to handle the registration process from start to finish. This was the only company that responded to my emails and answered my questions regarding the fees associated with yacht registration. I am so happy we found this company." "We offer yachts for chartering and wanted to ensure we were properly registered in Malta. Through research, we discovered Malta Yacht Registration and read everything they had to offer on their website. Upon contacting them, they helped us with the registration process and provided us with competitive registration and renewal fees. We were on a short time frame so they provided their 24-hour service to take care of the urgent situation. Their site offers multiple languages to fit both private and commercial yacht owners from around the world which is impressive. They also provided a professional, certified translator to help us through the entire process. I cannot possibly say enough about their professionalism and attention to all details. Thank you!" "We were looking for the perfect place to register our client's yacht when we came across Malta Yacht Registration. Not only is the registration process quite easy but offers many benefits and incentives for yacht owners. They answered all our questions, had a no-nonsense approach to registering and I believe they are the best location in Europe. We did not want to spend forever getting our client's yacht taken care of and we were very impressed by how really fast and easy the entire process was. They have shown us their incredible dedication for absolutely everything related to registering the yacht in Malta. If and when you are ready to register, they will let you know what documents you must have with you at the time so everything will proceed in a short period of time to get it done." You will discover that the Malta Yacht Registration process is very streamlined, offering many potential benefits along with attractive incentives to yacht owners. This no-nonsense approach to vessel registration has made registering in Malta the preferred process in Europe. Malta is ideal for yacht registration since it is the largest maritime registry in Europe and the 6th largest in the world.